In our opinion, there is not near enough Oscar love for this beautifully captured and told love story/silent film homage that was much more than an animated film. So, here is our chance to push WALL-E back in the forefront. 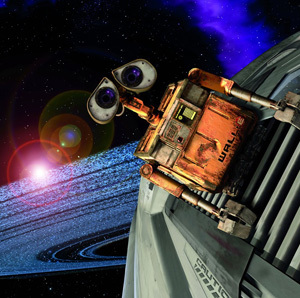 WALL-E doesn't lack anything in its tight hour and forty minute running time: genuine comedy, touching romance, fun action sequences and possibly the most awe-inspiring visuals on film. So, sit back and enjoy your cupcake-in-a-cup, while we see how well you know WALL-E.